The federal cabinet has made important amendments to the Insolvency and Bankruptcy Code by government ordinance. It now awaits the president’s assent. The changes will close loopholes in the existing law, and ensure that defaulting firms are placed under reliable administration. Regulators will now be able to ensure that business owners who were judged as wilful defaulters will not regain control over their former companies. The amendments will crack down defaulters who propose revival schemes to remain in control of the company. The Insolvency and Bankruptcy Board of India has already made it mandatory to examine the credentials of those proposing revival schemes, and its ability to uphold the interests of employees, vendors, and customers of the failed entity. As such, any turnaround plan will need the approval of the National Company Law Appellate Tribunal (NCLAT) to be finalized, and not the defaulting promoters. 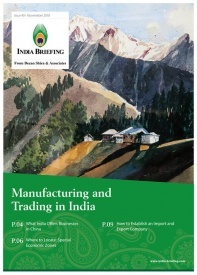 India has granted infrastructure status to its logistics sector, which includes firms operating cold chains, industrial parks, transportation, and warehousing facilities. The new status will allow logistics companies to raise long term credit from banks and financial institutions at lower rates, as well as attract foreign investment. A key industry player states that the government’s move will reduce the cost of capital in transportation and warehousing, and in turn bring down the cost of logistics. 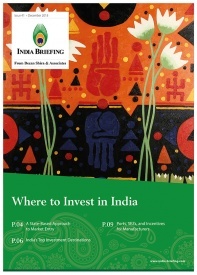 India’s logistics sector currently costs 13 percent of its GDP – higher than in most countries, including the U.S. The government’s notification, however, outlines a minimum required area and investment for facilities to be considered as logistics infrastructure. For example, a multimodal logistics parks comprising inland container depot (ICD) with a minimum investment of US$7.72 million (Rs 500 million) and minimum area of 10 acres will be considered logistics infrastructure. A cold chain facility will require an investment of at least US$2.32 million (Rs 150 million) and a warehousing facility must have an investment of minimum US$3.86 million (Rs 250 million) to come under logistics infrastructure. 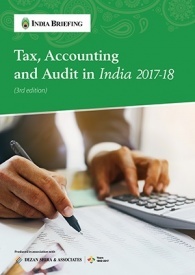 The third edition of Tax, Accounting and Audit in India is updated for 2017, and provides an overview of the fundamentals of India’s tax, accounting, and audit regime. 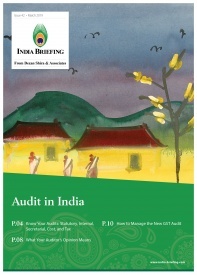 The guide also includes a detailed introduction of the Goods and Services Tax (GST) that was launched on July 1, 2017, representing the complete transformation of India’s indirect taxation structure. 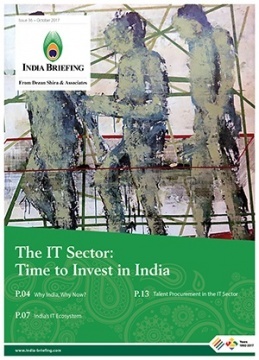 In this edition of India Briefing Magazine, we make the case for why now is the right time for foreign firms to invest in India’s IT sector. 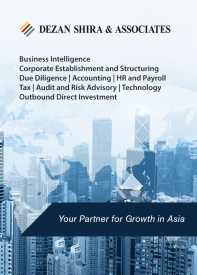 Firms can take advantage of the existing IT infrastructure, new industrial verticals, proliferation of technological startups, and federal incentives. Finally, we discuss India’s talent procurement advantages, with its labor pool of STEM (science, technology, engineering, and mathematics) graduates. « Demonetization in India: Masterstroke or Gross Miscalculation?